Did you pay cash for a purchase today? Was your total rounded up or down? Even Google has come up with a Google Doodle to honour the day. If you miss it, you can see it here. Today is the first day of the no-more-penny era. Retailers will now be rounding up or down any cash purchases to the nearest nickel. All other methods of payments will continue to use the penny. There are a few stories floating around suggesting retailers are somehow going to cash in on this new system by purposely pricing their items with a three, four, eight , or nine cent ending in order to “force” all their sales to round up (as opposed to down). Of course, this won’t work because the rounding occurs only on the total purchase, not individual items. 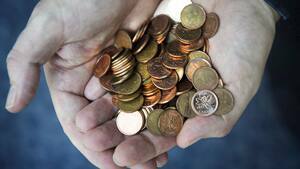 Check out CBC’s article about the first day of penny-free transactions. MacLean’s magazine January 14, 2013 edition includes an article entitled “99 Stupid Things The Government Did With Your Money“. Some of our “favourites” include $56,000 spent on a photo shoot for Finance Minister Jim Flaherty and the last penny (No. 29) and the $176,000 spent over the last five years on hockey pucks by the Department of National Defense (No.94). On July 30, 2012, the Honourable Jim Flaherty, Minister of Finance, officially announced that the Mint will stop circulating pennies as of February 4, 2013. This transition date will not require new production of pennies, as the existing supply available for circulation is sufficient to cover that period. Businesses do not need to update cash registers for rounding, since prices and the final total payment will still be set at one-cent increments. GST/HST will be calculated on the pre-tax price, and not the rounded price. When customers do not have exact change, it is only the final total for cash payments that must be rounded. Electronic payments, such as credit and debit cards, will not be rounded and will still be paid to the nearest cent. Consumers can continue to use pennies for cash transactions indefinitely and businesses are encouraged to continue to accept the coin as a means of payment. Businesses are expected to round prices in a fair, consistent and transparent manner. Rounding guidelines will be adopted by all federal government entities for cash transactions with the Canadian public. Experience in other countries that have eliminated low denomination coins has shown that fair rounding practices have been respected. More information on the Mint’s website. A Mint employee brought in a 4-litre pickle jar of small change that had been accumulating over the years. It contained over $1,000! More than 67% of recycled coins are pennies.